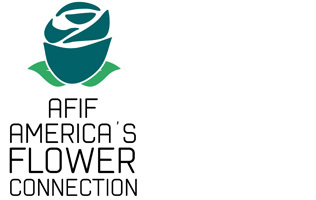 AFIF has provided a unified "voice" for its Members since 1982 and has established a long-standing "working partnership" with various United States regulatory agencies, including the U.S. Department of Agriculture (USDA), Department of Homeland Security (DHS), Customs and Border Protection (CBP) and Miami International Airport. These efforts ensure the most efficient and cost-effective clearance of Member's flowers through Miami, along with access to timely information to enable complete and accurate compliance with all regulatory agencies. AFIF also deals with international trade, legislative and transportation matters, addressing industry issues and challenges and developing appropriate strategies and responses to them. The goal of AFIF is to provide information about AFIF members and the industry as well as keep Members up to date on current news and events. Members have access to a broad range of statistical tools, important consumer trend information to enable them to make informed decisions for their company. This Profit Study enables Members to review industry financial performance results and analyze how high profit firms achieve their success. It also provides Members with tools (a computer software package) that enable them to compare their performance to the industry. Specific to the Miami flower importers, this analysis enables Members to better evaluate whether they are paying their employees at appropriate levels for the Miami industry. These small group discussions give Members an opportunity to interact with other members and staff in an informal environment and to talk about a wide variety of subjects. At AFIF's general membership meetings, Members receive the latest regulatory information, learn about the latest industry trends/statistics and meet with other companies in the industry. There is also ample opportunity for open discussions on the latest issues affecting the industry. AFIF Members receive discounts at various hotels near Member facilities and the Miami International Airport. Also in other flower countries such as: Colombia, Ecuador, Costa Rica, etc. AFIF Members receive the deepest discount available on credit card processing back by a large stable banking firm JP Chase Morgan Bank. Members are also able to use computer credit card processing which give the companies more secure real time data and better reporting capability. AFIF accumulates all of the major flower truck line holiday schedules into one report that is distributed to all members.